Web scraping is as old as the web itself, it is a very widely known term in the programming world, and in online businesses in general. Scraping allows you to gather multiple sources of data in one compact place, from within which you can make your own data queries, and display information however you like. In my personal experience, I’ve seen web scrapers being used to build automated product websites, article directories and full-scale projects that involve a lot of interaction with data. What do all of these have in common? Money. The average person looking for a web scraper will be thinking in terms of money. 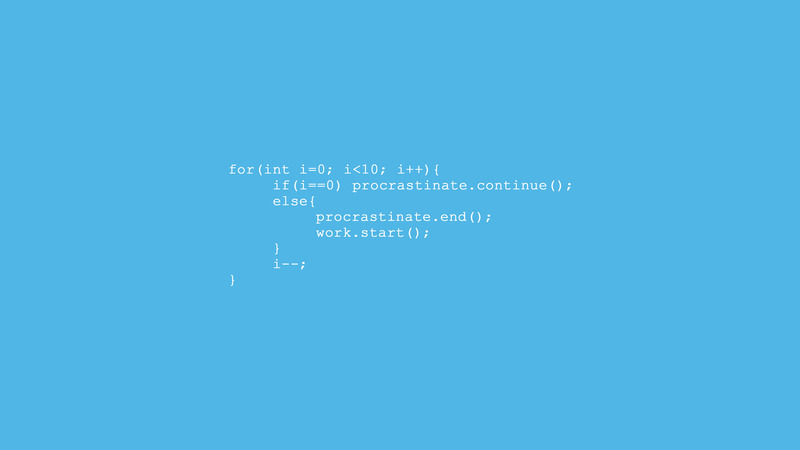 Are you a PHP coder? Take a look at these php libraries that are for working with the HTTP protocol and also for scraping content. What other uses are there for web scrapers, which are the most common ones? 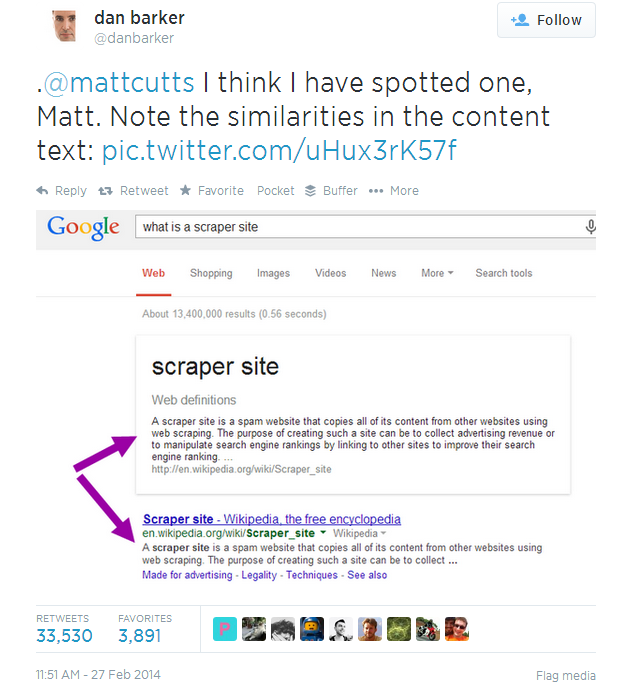 Funny to think about this, the first thing that came to my mind when thinking of other uses for scraping was a tweet that was sent out earlier this year by Matt Cutts, one of the people behind Google’s spam team. I thought it was pretty hilarious, as did 30,000 other people who took the time to retweet that statement. The lesson here is that web scraping is all around us. Try to imagine a world where a price comparison website would need to have a separate set of employees, just to have them check the prices again, and again, for each new request. A nightmare! Web scraping has many sides to it, there are certainly many uses for it as well, here are a few examples (feel free to skip this to get right into our list of web scraping tools) that I think define what scraping is about, and probably shows that it’s not always about stealing data from others. • Price Comparison — Like I said, one of the great uses for scraping is the ability to compare prices, and data in a more efficient manner. Instead of having to do all the checks manually, you can have a scraper in place; doing all the requests for you. • Contact Details — You could consider this type of scraping as something on a thin line, but it is possible to scrape for peoples details; names, emails, phone #’s, etc,. by using a web scraper. • Research Data — Quite similar to what I said above, large amounts of data can be scraped in one place and then used as a general database for building amazing, and informational websites or products. these all were on the top of my head, having a quick look online led me to this blog post, you’ll find a few more suggestions on the uses of web scraping there. It is not that hard of a thing to do, to imagine a fellow webmaster being frustrated over a company that has stolen all of his data, and is now making a huge profit out of it. The worst part? In many cases, it is near next-to impossible to prove that these people are doing what you know they are, scraping, and using your data. I think that covers my initial introduction to web scraping, and my last piece of advice is this – learn Python; it is one of the most common programming languages used for scraping, extracting and organizing data. Luckily, it is also incredibly easy to learn, and with the use of different frameworks – getting up and running will be a breeze. I love what these guys are doing at Import.IO, even though it is a little on the expensive side. Enterprises who are looking for more flexibility and algorithmic access can get in touch with the sales team, while everyone else enjoys the product free for life. Their web scraping tool is available for all major operating systems (Mac, Linux, Windows), and comes equipped with an amazing set of features. I’m particularly fond of Authenticated APIs, Dataset’s, and Cloud Storage. But, the crown jewel is their own blog – a place where you can find user feedback, and a great number of tutorials and how-to guides. In my experience, I found that scraping a website like ThemeForest turned out to be incredibly easy, but I quickly grew tired of the idea and so didn’t really continue to explore the possibilities. I’d love to hear your own stories about Import, and whether you think it is one of the best free tools for scraping out there. Kimono is a platform (supported by a bookmarklet) that enables you to turn any website into an active API. It’s actually quite interesting technology, and I highly suggest to take a look at the types of software and apps that have been built with Kimono. It makes things like data visualization a very easy process to do. You don’t need to write any code or install any software to extract data with Kimono. The easiest way to use Kimono is to add our bookmarklet to your browser’s bookmark bar. Then go to the website you want to get data from and click the bookmarklet. Select the data you want and Kimono does the rest. It’s going to be a little bit harder to master this tool, but there is an extensive section of video tutorials to help you get started, now that I think about it – I’ve reignited my passion for it as well, and look forward to playing around with it, at least a little bit. Like I said, Python is quite famous for being easy to learn and easy to use when it comes to scraping the web. Scrapy gives you all the necessary tools, documentation, and examples to help you get started within minutes. You’ll need Python installed, and some basic understanding of the command line. The lack of a GUI (graphics interface) makes this tool less appealing to the beginner class, but it is a widely used web crawling tool (very possibly, the most widely used) that can help to achieve large proportions of websites in a matter of seconds. Apache Nutch™ is flexible, powerful, and is built alongside the popular Apache Solr search server. Nutch is open-source, and offers both modular and pluggable interfaces for concluding crawling matters. You could easily build your own search engine if you wanted to. I’m fond of this installation guide, which is extended into further detail if you’re interested in giving it a shot. Scrapinghub is a very advanced platform when it comes to crawling the web using ‘spiders’. Their platform enables you to launch multiple crawlers at a time, without the requirement of deep monitoring of what is going on in the background. You simply give it the necessary data that it needs, and it will do the rest by itself. Everything is stored in the Scrapinghub – highly available – database and retrievable from our API. I really like their latest open-source product, it is called Portia and it will enable you to do some custom scraping on your own, mostly to get a feel of how a visual web scraper works, and what kind of data it is possible to scrape and archive. UBot Studio was recommended for this list by one of the people who have left a comment on this post. I didn’t think much of it at first, but after having taken a second look, UBot Studio looks like a fairly promising platform that can change the way you or your business, interacts with the daily tasks of the web technology. • You can create a network of blogs and manage them automatically with UBot. • Easily create user accounts on the most popular social networks with a single click. • Update your blogs and social networks automatically from one single window. • Mass upload videos to the most favorite video sites on the web. • Conduct research tasks that can yield insight about keywords and their according niches. • Works with popular platforms such as WordPress, Blogger, and even cPanel for all your hosting needs. • …. and so many more features that you can find here. It definitely is a little bit different from other scraping tools that we have on this particular list, but with such a wide array of features, I think this particular platform deserves to be noticed. Unfortunately, it won’t be free to use it, but if you’ve been looking for a similar solution for your projects, perhaps this is the one to go for. We don’t use affiliate links, so it’s up to you to decide whether UBot Studio can help your business. You’ve got a lot of choice right now, find the right tool that works for you and keep playing with it. I think that there is a lot of good that we can do, by using these tools for the right reasons. Honestly, I just don’t see the point in scraping Wikipedia’s full archive of pages, and then submitting them on your own blog. Find something meaningful, something that would impress others and try and work it out. The least of our worries should be the ability to do it, as there are more than enough tutorials and guides out there; on how to use these tools for the maximum potential. I hope that you’ll find something worth your time, but I also encourage you to share your own tools that you use for web scraping, and I’d love to try them out myself. awesome; thanks for the input! Your comparison post looks great, thanks for adding it. thanks! I see, I just had a quick look and it looks quite in-depth; so definitely a good addition to the list that we’ve got so far. Thank you for stopping by! Thanks for sharing this list. I’ll be reviewing some of them. At the moment, we use Feedity – https://feedity.com to create custom feeds. It works very well for most sites. As the article will show, my package does well against those closed-source solutions that I mention above. Just to expand on what my library does, it uses a super simple unsupervised learning approach to classify data vs. non-data from a given website. Honestly, I can’t imagine a list of scrapers that doesn’t include Ubot Studio in the top 3. Anyone who has ever tried to automate anything – without knowing code – has used this program like a savior. I actually know code and I still use it because of the community of experts that use it advise in ways I didn’t think were possible. The community is insanely talented and always coming out with new plugins and tips, tutorials and tricks… it is – hands down – the best web automation and scraping tool – ever. I don’t have any monetary gain by saying this and I am not affiliated with the company. Find me in the community under “pacbotter”. interesting suggestion. I took another look at it, and decided to include it in the list, but definitely not in the top three. Not only is UBot Studio expensive, it also comes with a much longer learning curve, while all other tools on the list are quite straightforward in their purpose. Thanks! Visual Web Scraper is a very powerful tool as well. I’ve also used Ubot Studio extensively in the past. Although now that I only use Linux, this has confined my Ubot usage to history. Strangely, Ubot fails to mention on their site that it is for Windows only. To date, I’m still searching for a good Linux equivalent. Excellent article. Do you know if any of this can make email scrap? I have tried all the software above. I think each software has their own Pros and Cons. But no one really satisfies me very well. But I find another one free web scraping tool, Octoparse. It’s simple to operate and has rich video tutorials. It’s much more suitable for ones without any coding knowledge. I’m using the scraping tool called http://www.octoparse.com/?sb for research data analysis. Tools you mentioned in the article, which one can be the best alternative for this one I’m using. Great article about web scrapers. I believe another one to include is Mozenda. Mozenda can extract data from any website and format it into structured data that can be easily published and distributed. I have been exploring for a little for any hjgh quality articles or weblog posts in this sort off space . Exploring in Yahoo I eventually stumbled upon thks web site. Studying this info So i amm glad to show that I have ann increedibly just rigbht uncanny feeling I fouund out just what I needed. I most certainly wilpl make sure to do nott overlook this site and provides it a look on a constant basis.